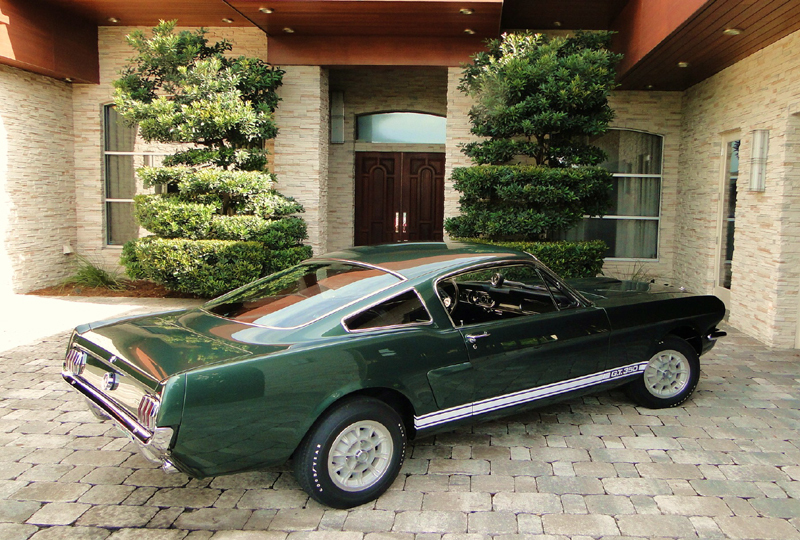 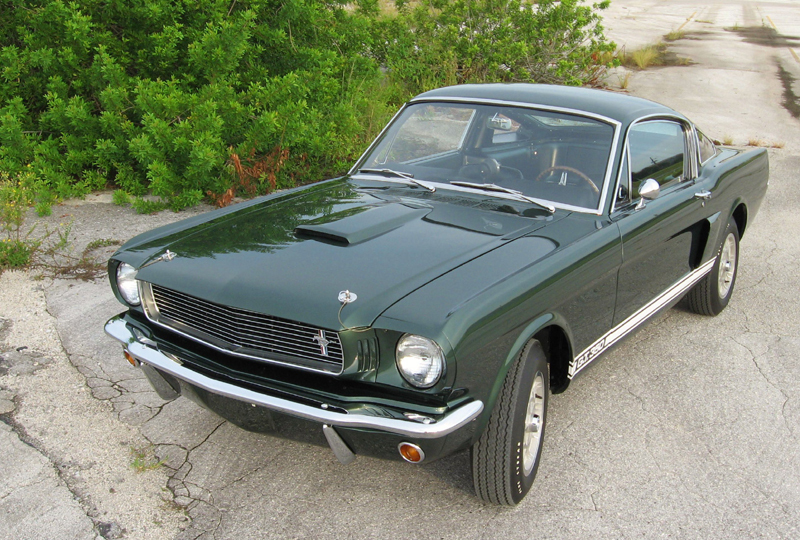 This 1966 GT350 Shelby is number S1066. 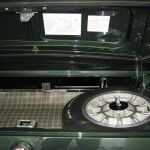 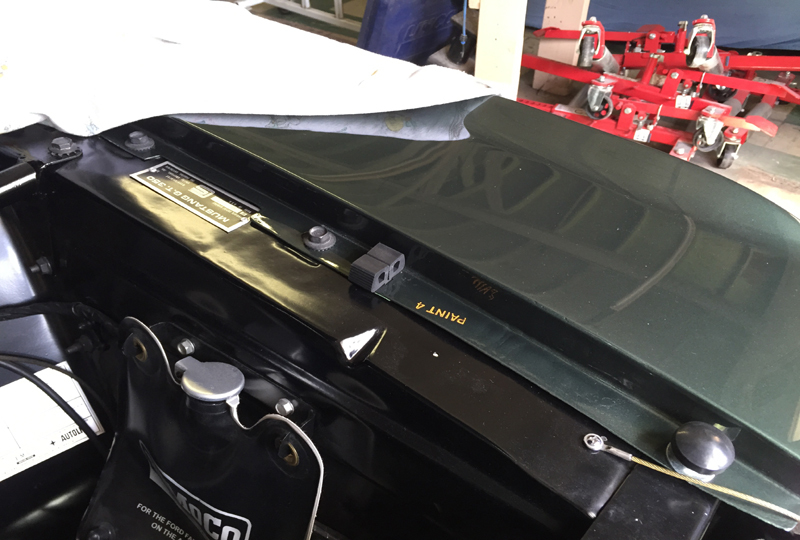 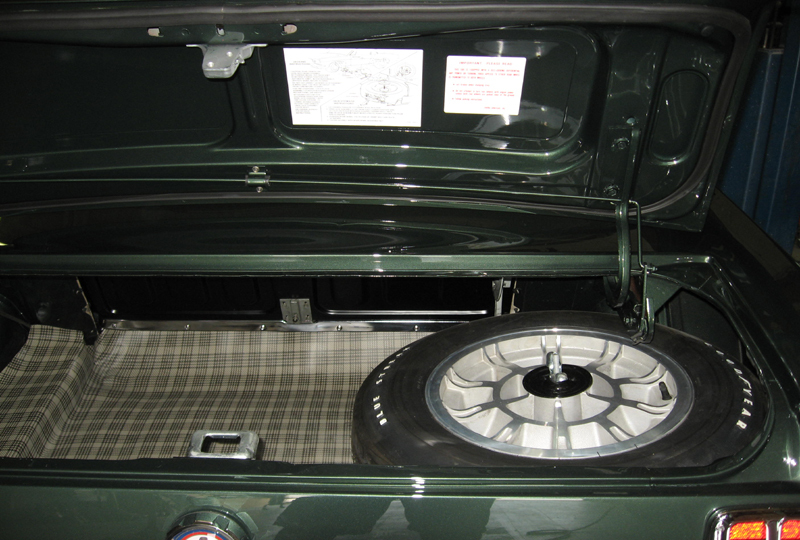 The goal for this project is to take it back to its beginnings as an Ivy Green K-code screamer. 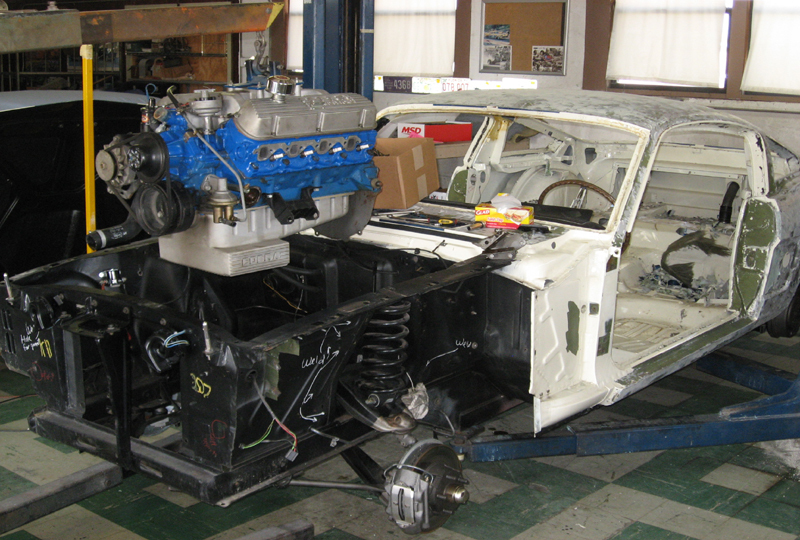 This Shelby started in the United States but its life was spent in South America tearing up race courses. 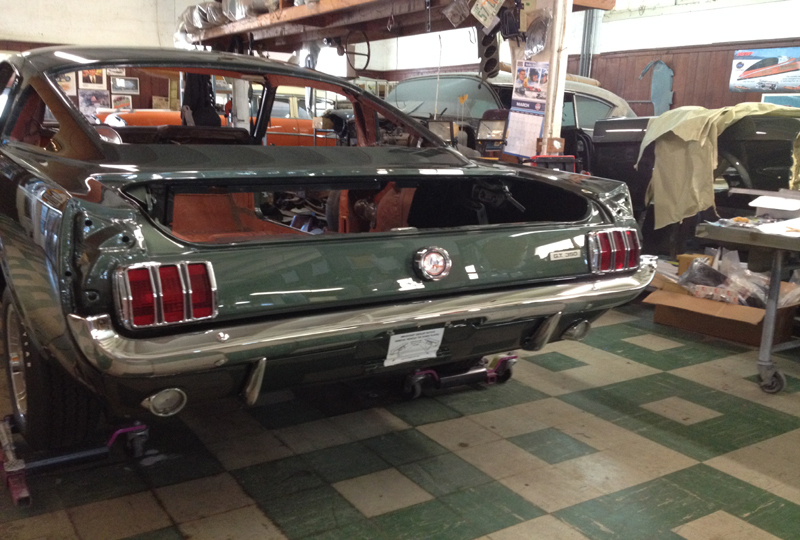 Originally shipped to Autos Lima Tambo, a Lincoln Mercury dealer, in Lima, Peru in 1966. 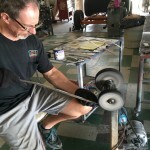 Eventually ending up in the hands of Teodoro Yagali, who raced it extensively, including the Caminos Del Inca, a 3,000 kilometer race. 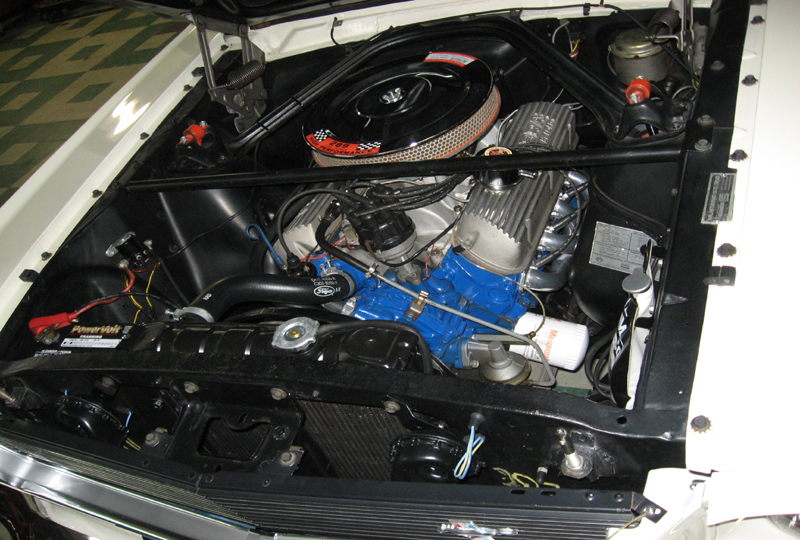 Yagali won the Caminos Del Inca in both 1972 and 1973. 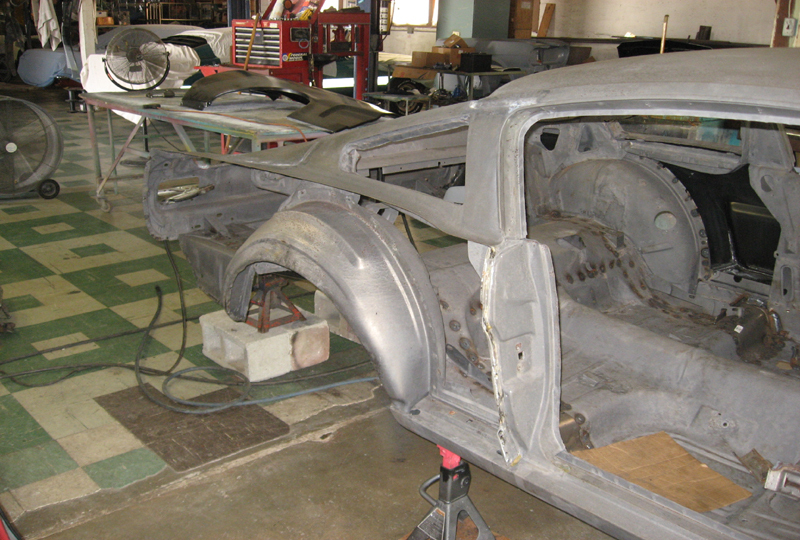 The car remained in Peru, reportedly in a tractor trailer, until being returned to the US in 2002. 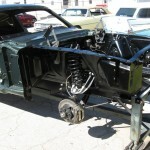 The initial intent was a proper repaint, however over the years and several racing events have caused severe trauma to many body parts. 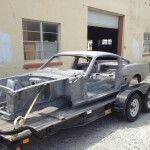 A complete restoration, while maintaining the racing patina, was in order to properly respect this Shelby’s part in history. 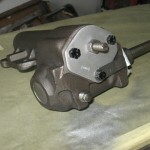 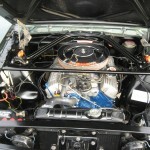 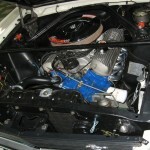 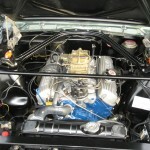 It still retains its original engine, rear end housing and center section. 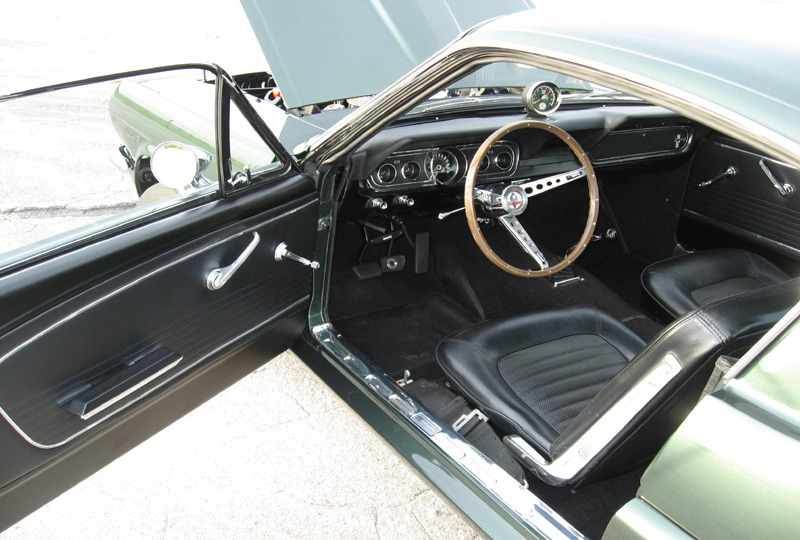 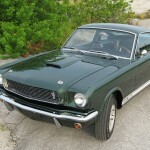 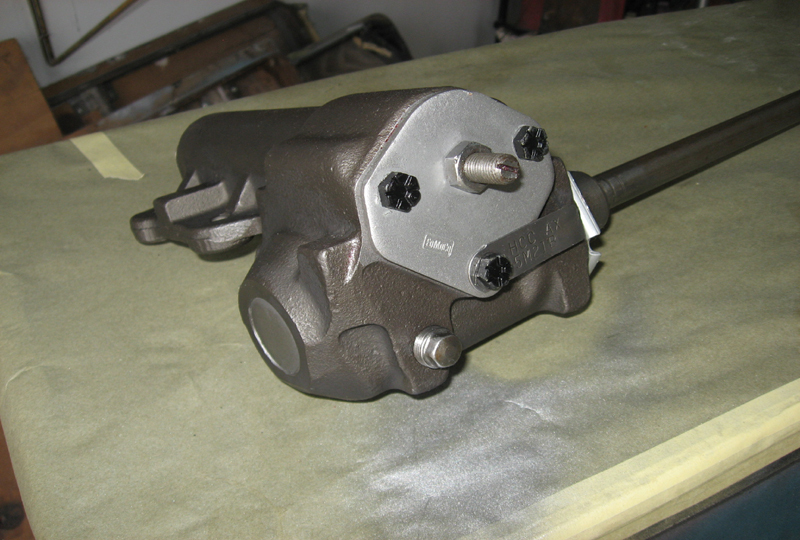 Shipped in 1966 as an automatic, a four speed was introduced at some time in its life. 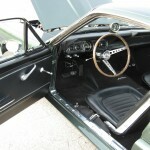 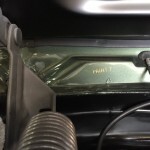 The transmission is a 1966 K code HEH-BX close ratio. 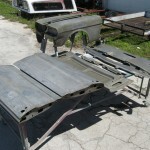 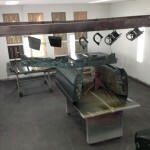 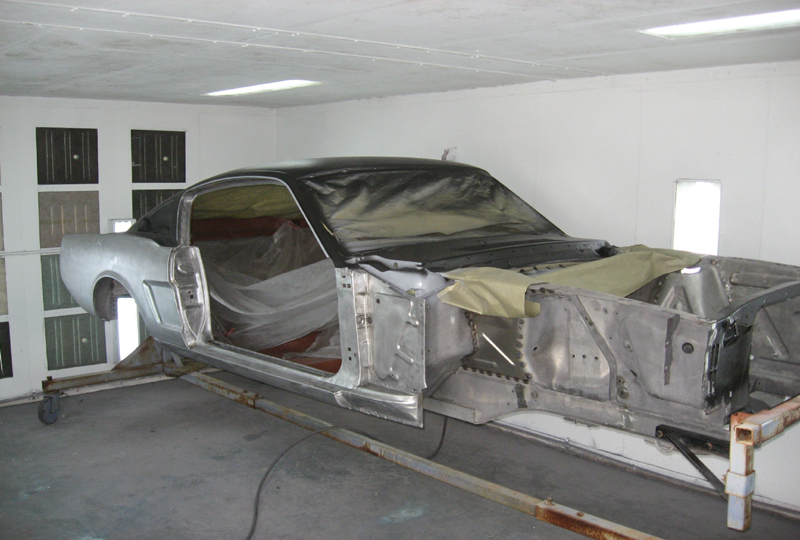 The body and all of its steel panels have been chemically dipped and the removable panels have received their initial epoxy primer. 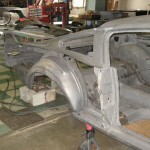 Metal components such as the quarter panels were replaced at one time but done in a fashion that left them with a surface similar to the rolling hills of Missouri. 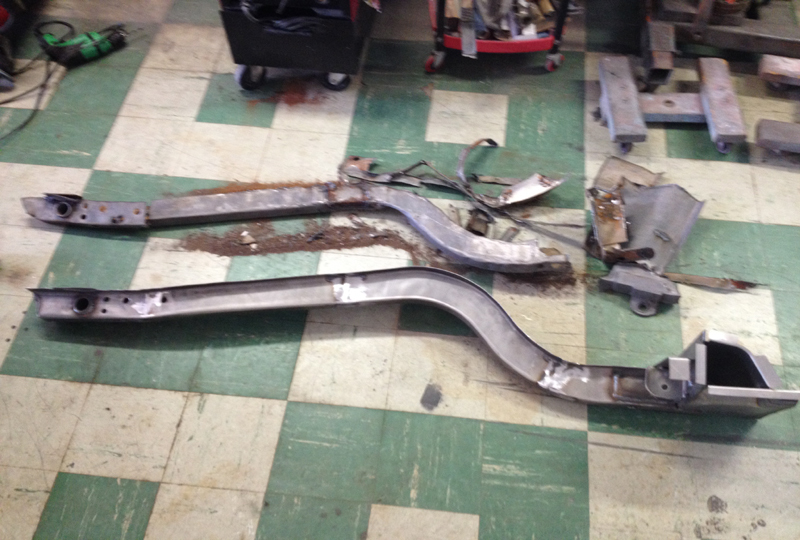 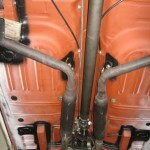 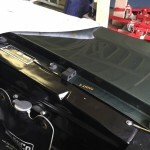 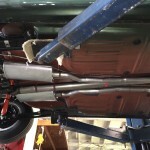 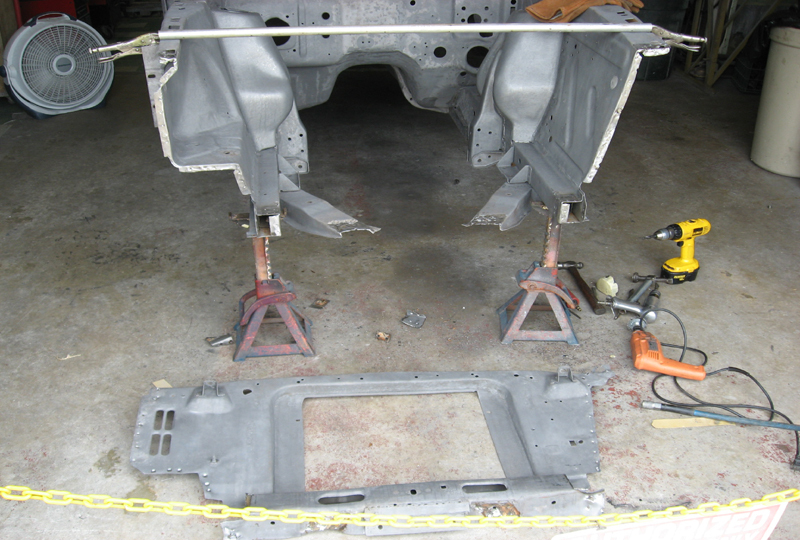 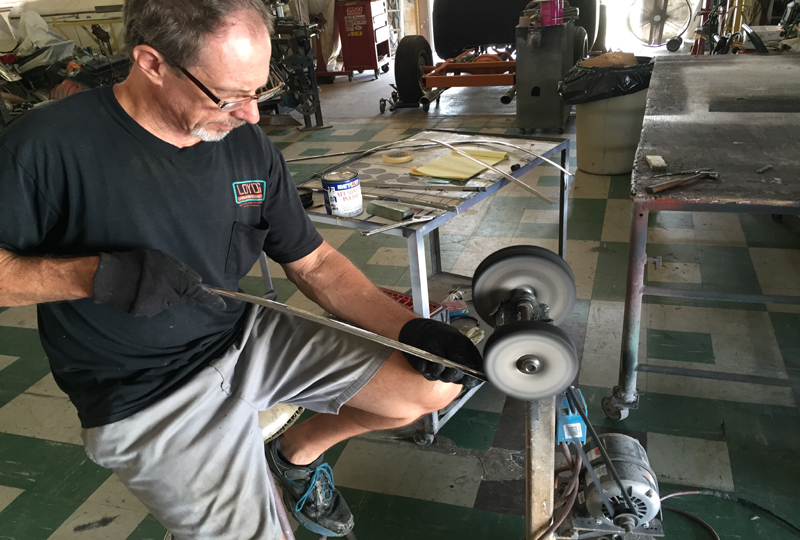 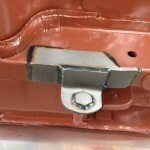 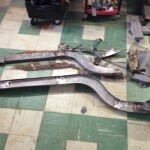 We replaced them along with a new set of rear frame rails. 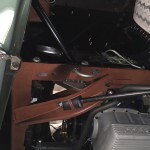 The original frame rails, if able to speak, could have quite possibly told of driving stories with off road adventures and some possible wheels leaving the ground scenarios. 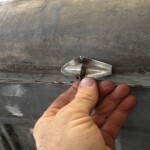 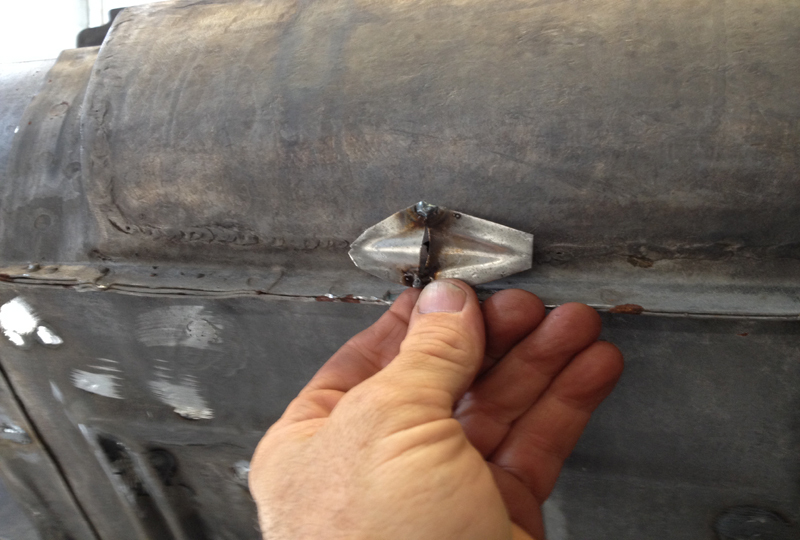 Once the old rails were removed views of the interior portions showed multiple repairs, multiple existing cracks and spring eye bolt holes that were now oval in shape. 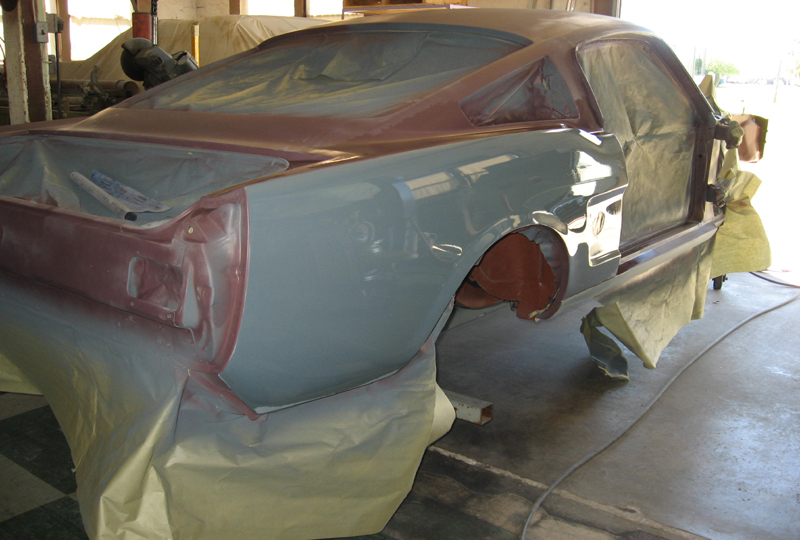 The belly of the Shelby was hammered and dollied to smooth out the rough spots and refinished in the original red oxide primer appearance. 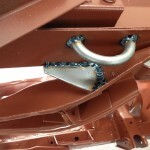 Tow loops and reinforcing braces were added during its racing days which we left as part of the racing patina. 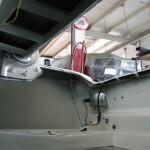 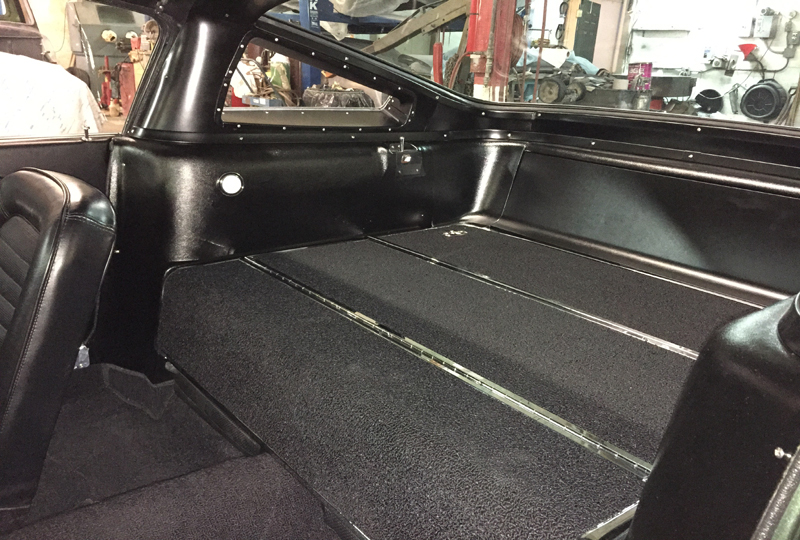 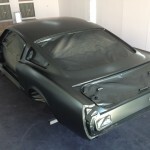 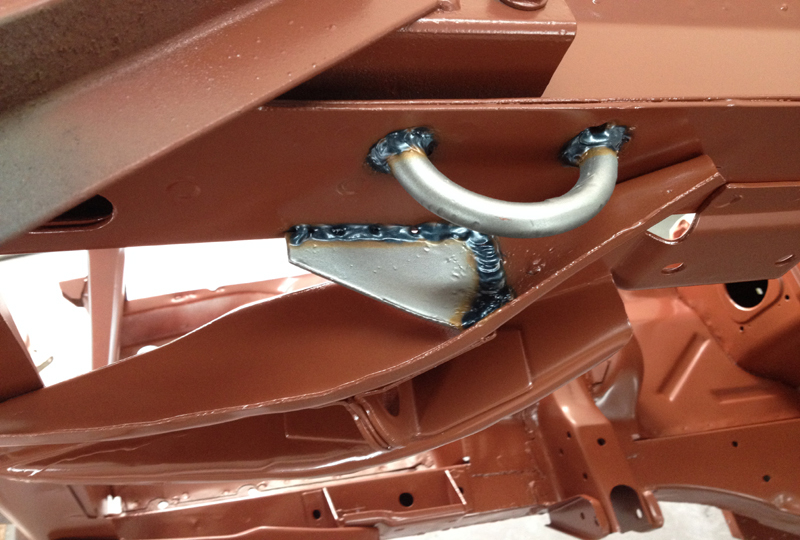 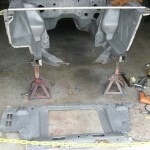 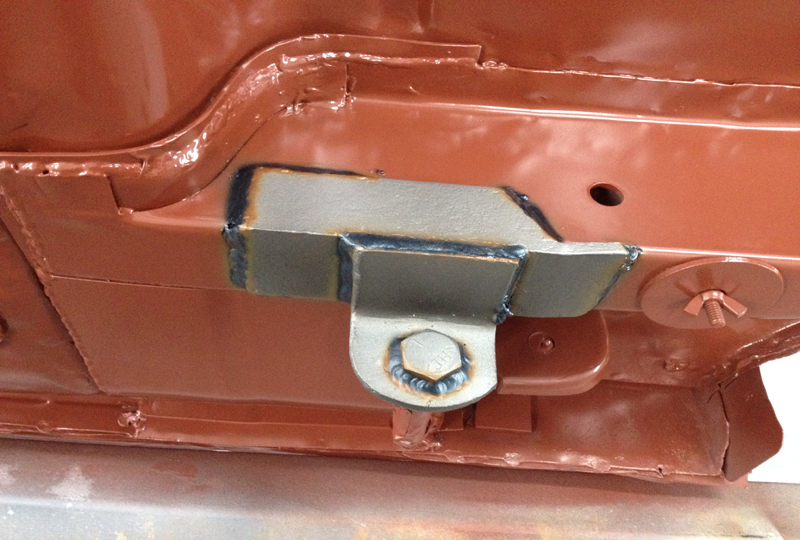 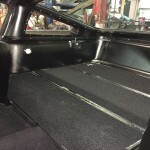 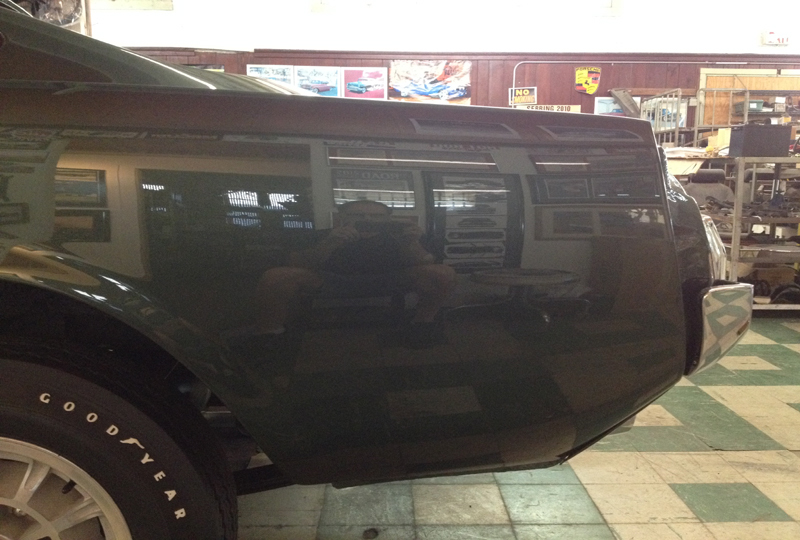 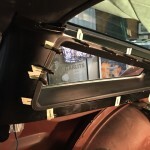 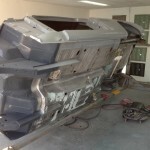 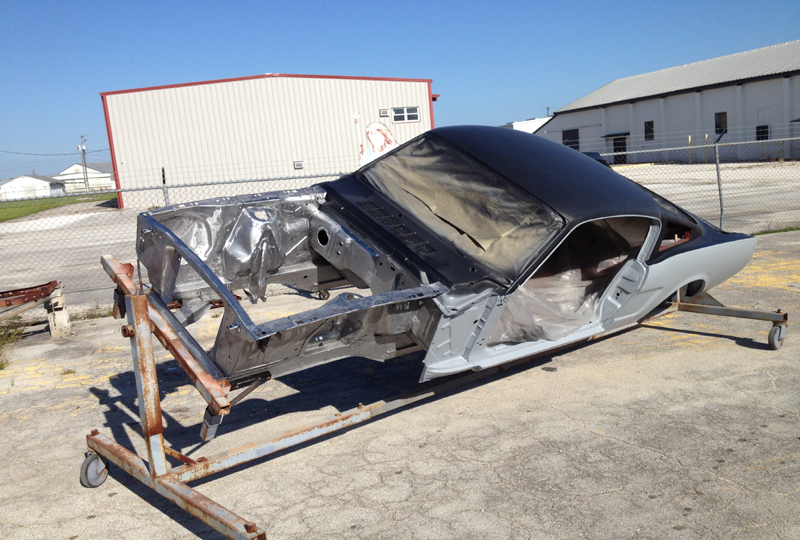 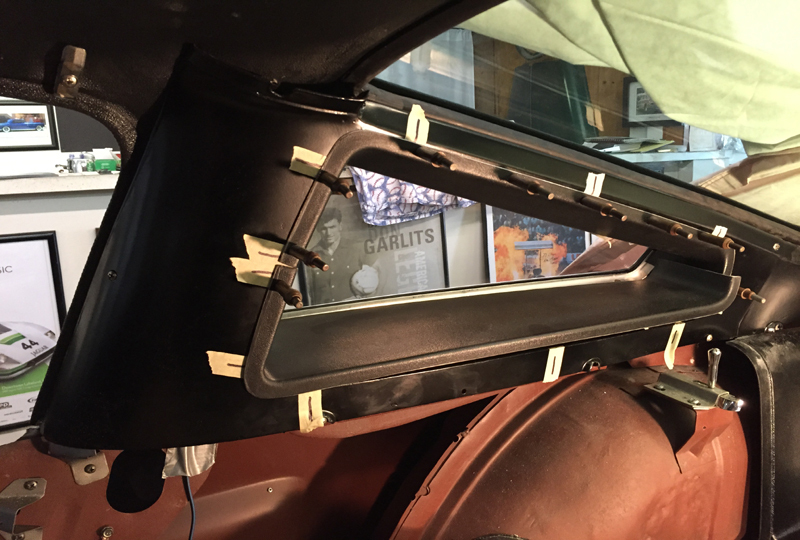 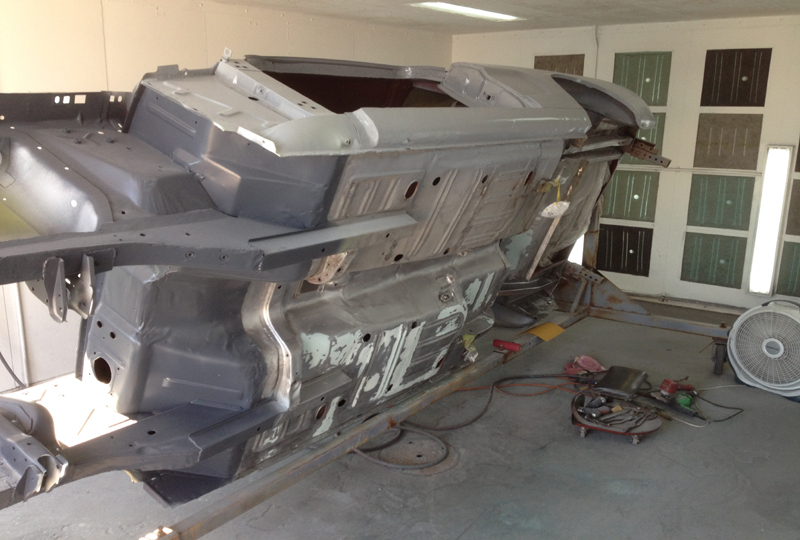 Now that all the major metal work has been completed the body panel fitment and finish work is nearing completion. 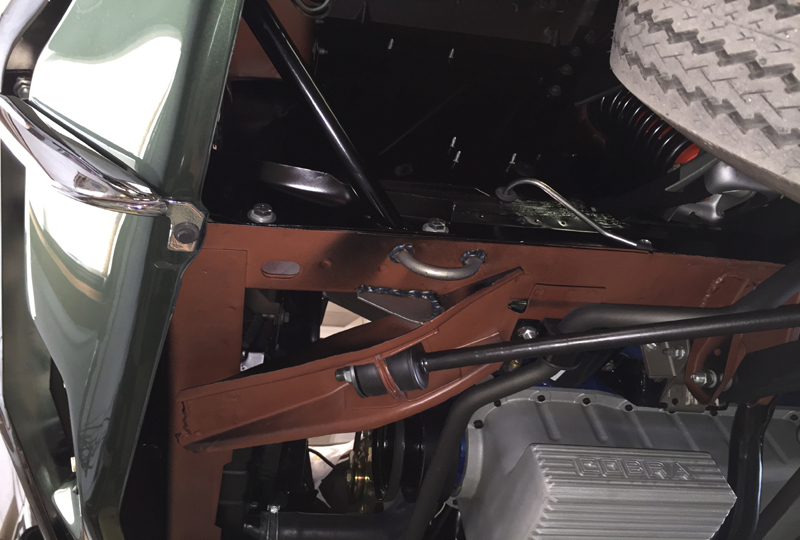 Applying sprayable filler primers, block and file board sanding and continued panel gap checking make up most of the work at this time on S1066. 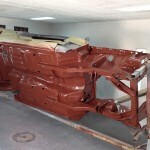 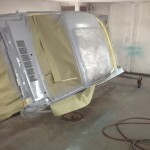 Now that all the body and panel sanding is done Shelby 1066 is ready to get its original Ivy Green skin color applied. 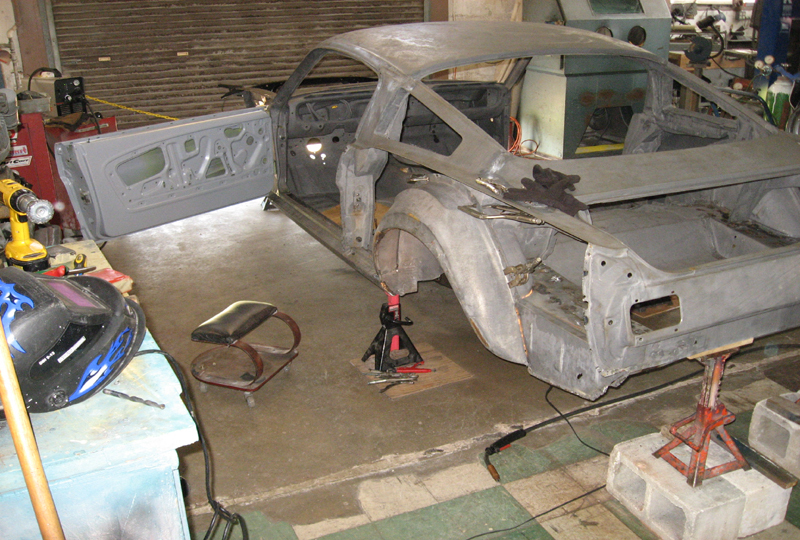 The final sanding of panels were checked for straightness and all panels passed. 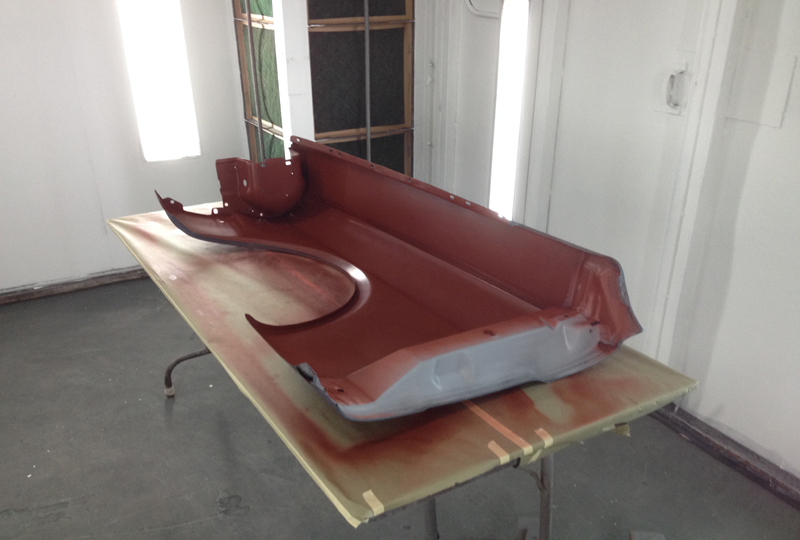 The inside of panels requiring green over spray on the red oxide primer, were given a coat of red oxide color for the detail effect. 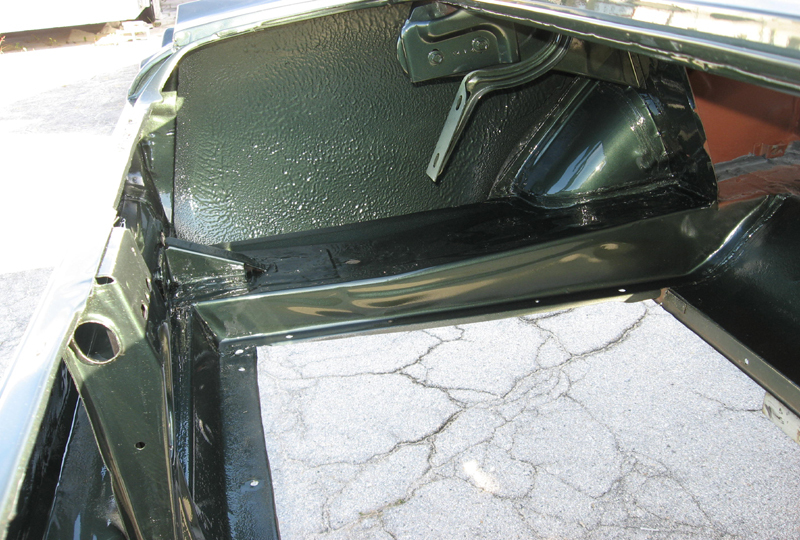 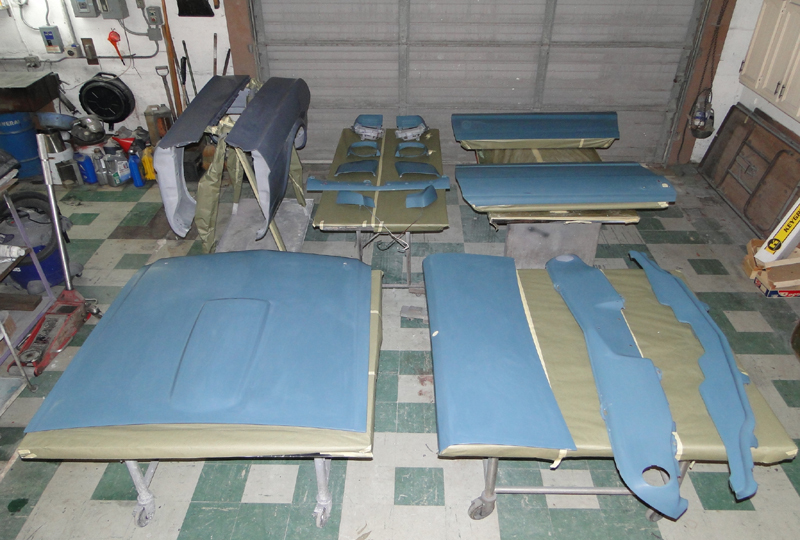 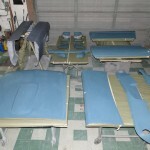 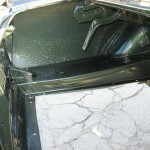 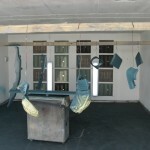 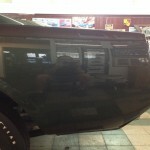 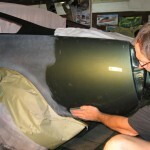 The panels were given their initial coats of Ivy Green separately then the body was covered. 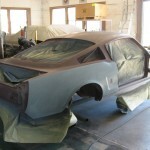 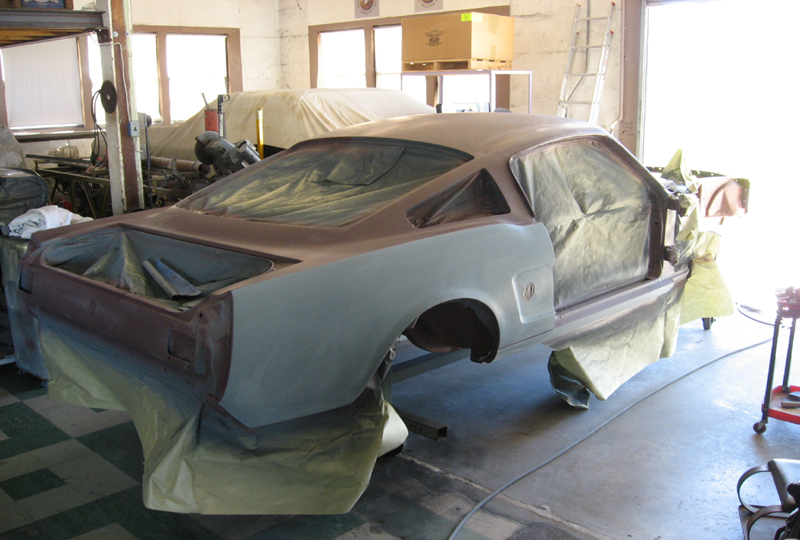 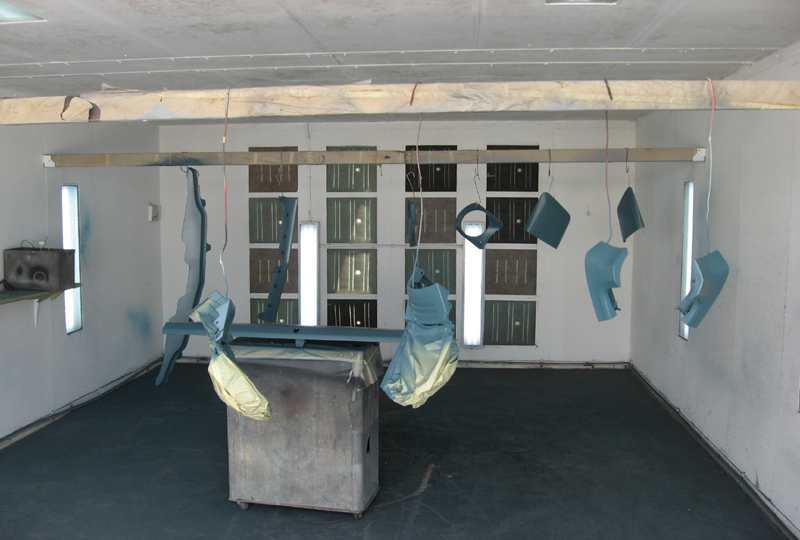 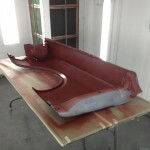 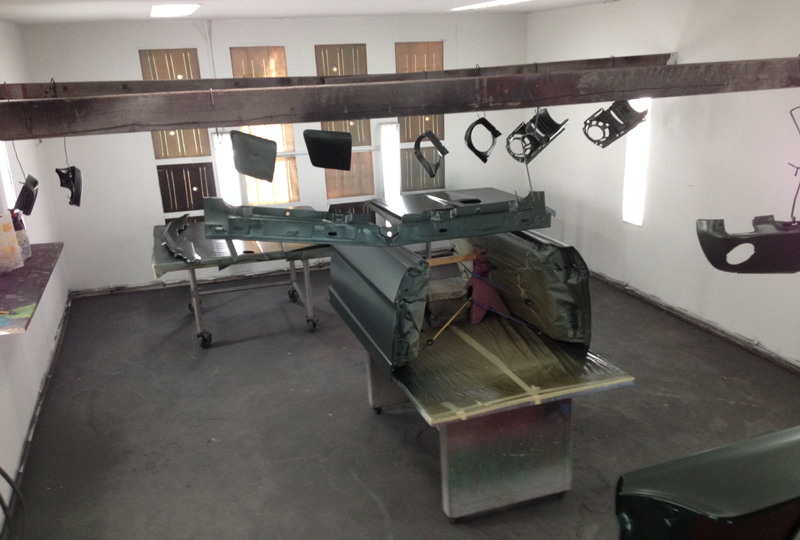 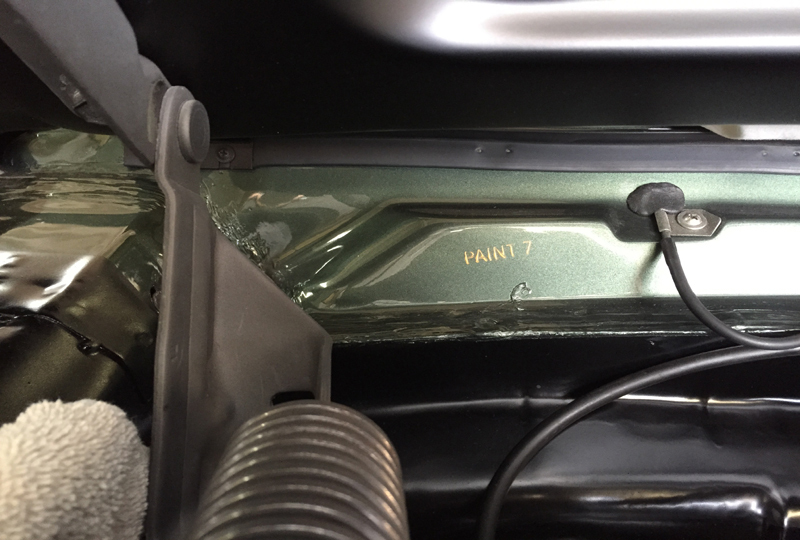 Body panels were temporarily attached and the final color was applied to the overall car. 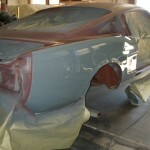 All the color and clear has been applied. 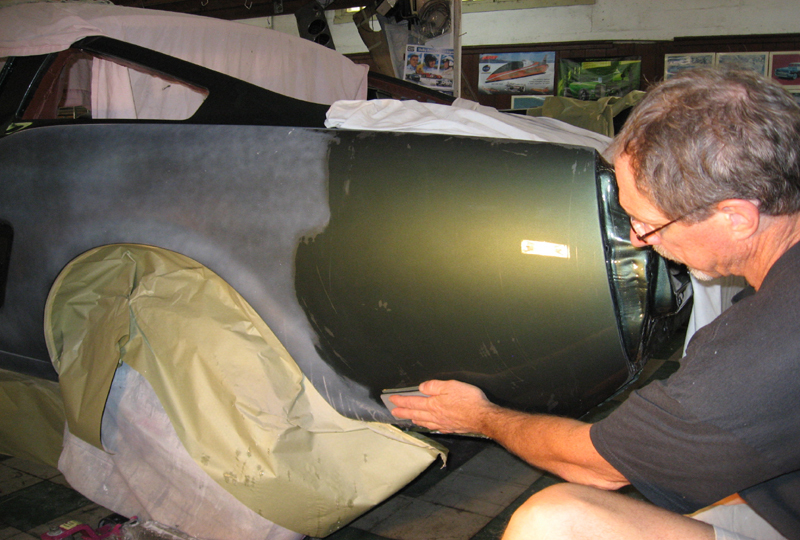 The Ivy Green overspray on the belly as well as the black out in the engine compartment has also been added. 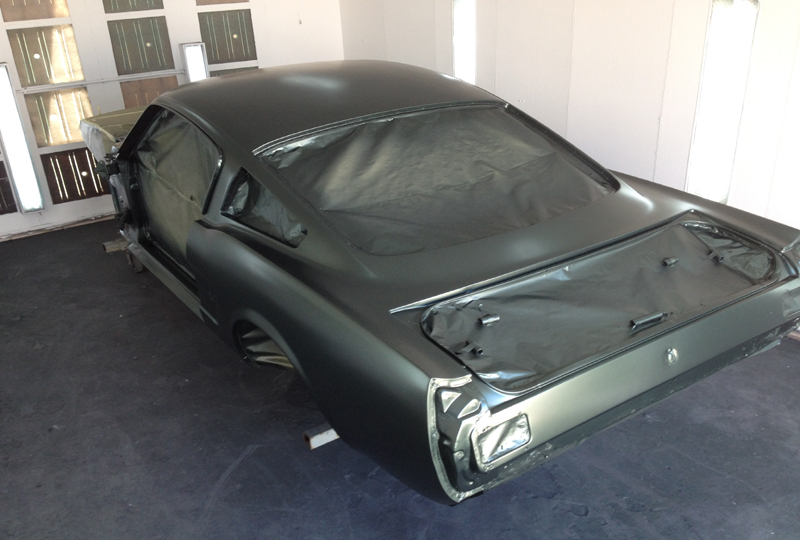 The main body paint has been color sanded and buffed to produce a shine Mr. Shelby would be proud to see on one of his creations. 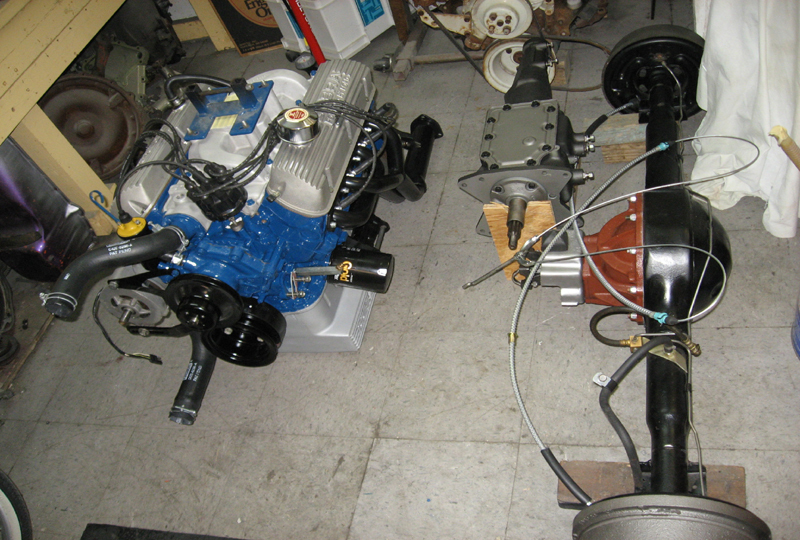 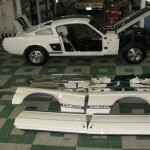 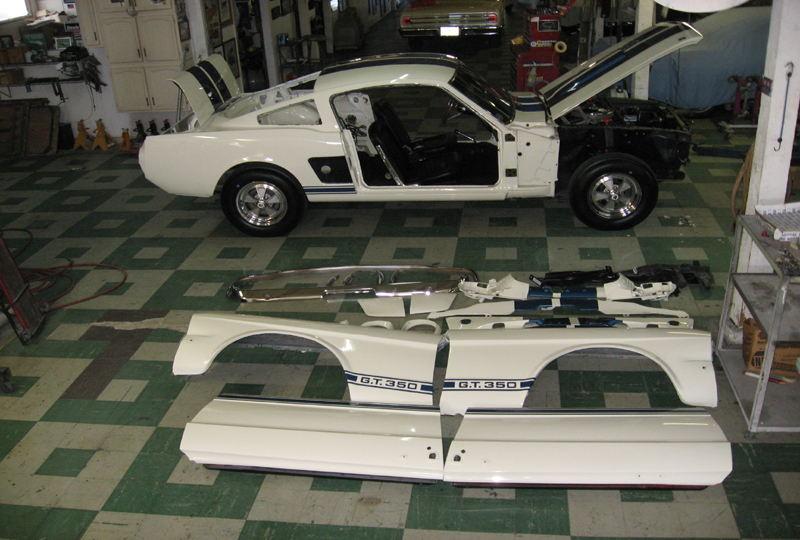 The next part of the Shelby’s new life is final assembly of all the refinished components. 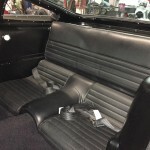 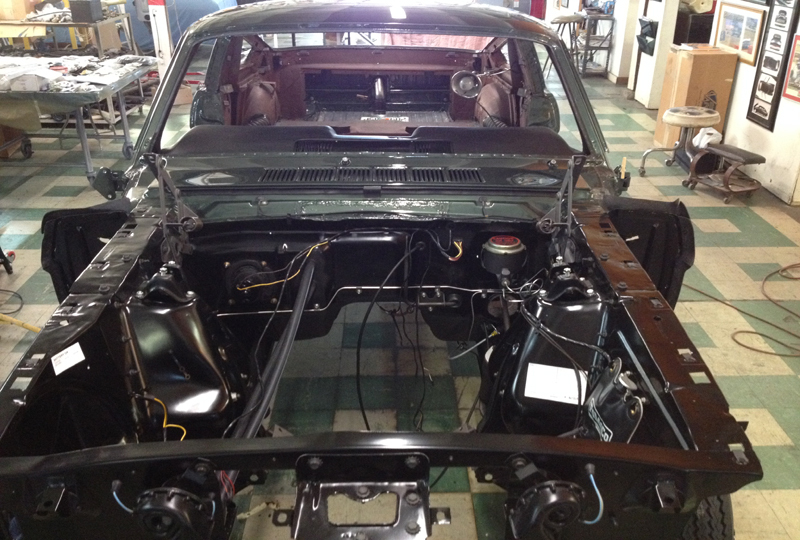 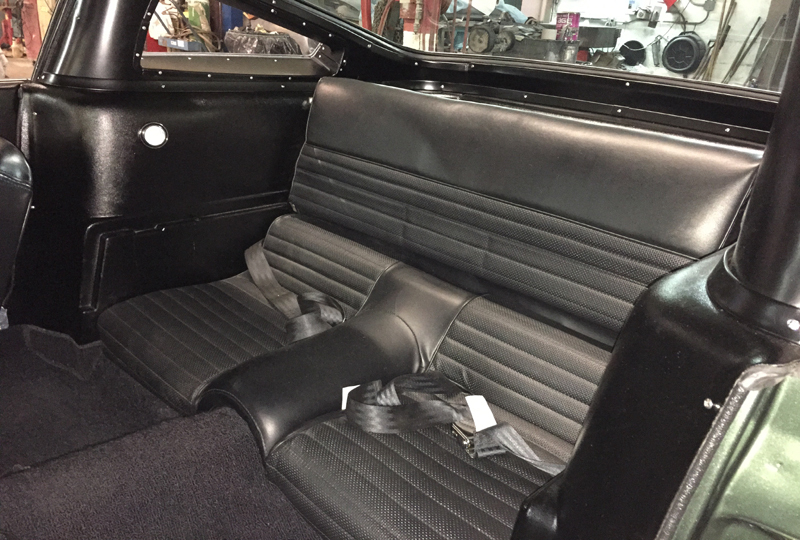 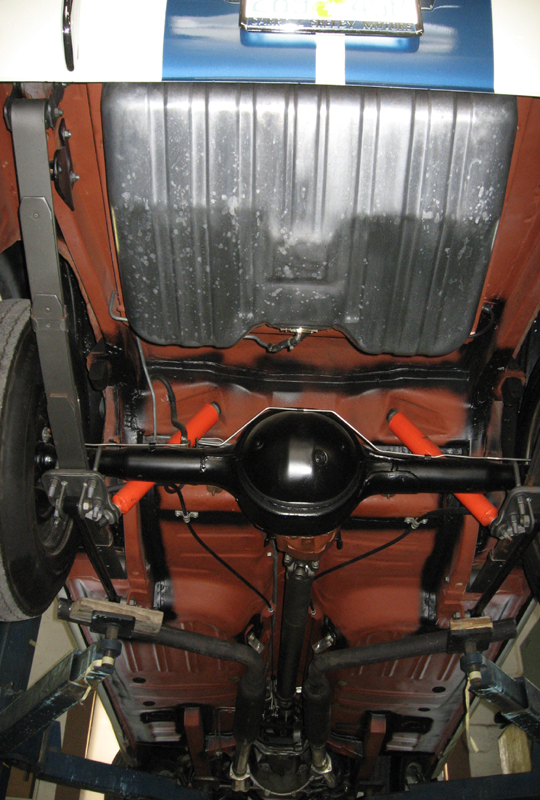 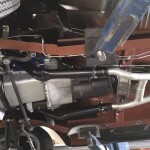 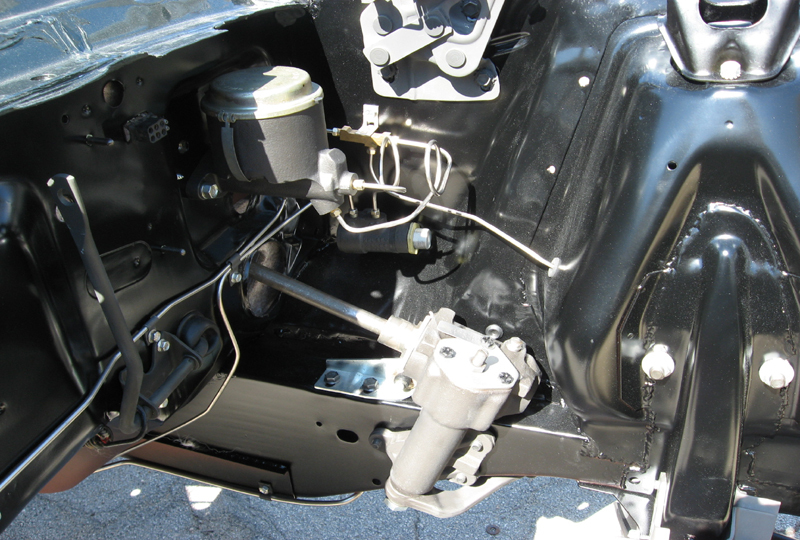 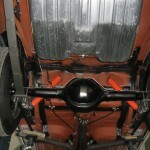 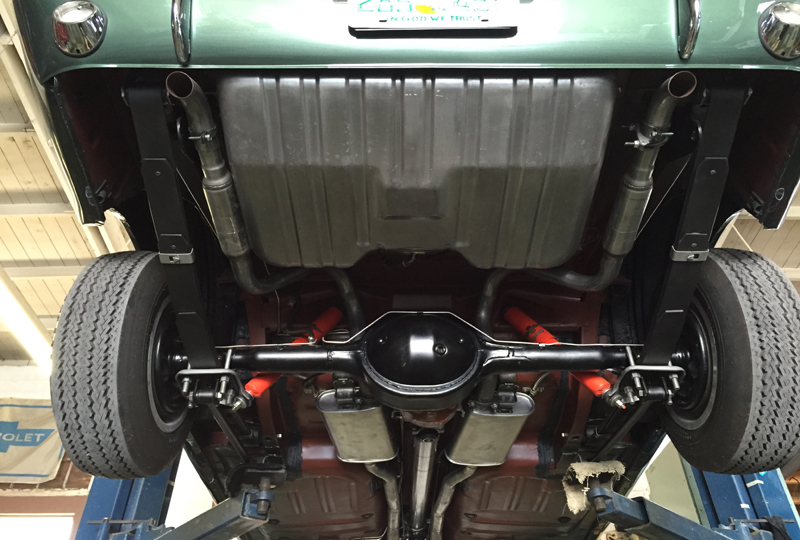 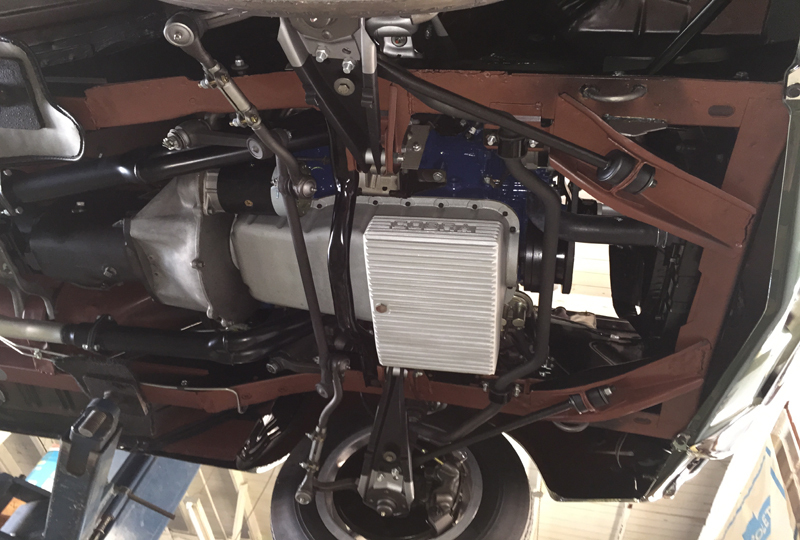 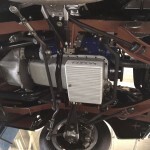 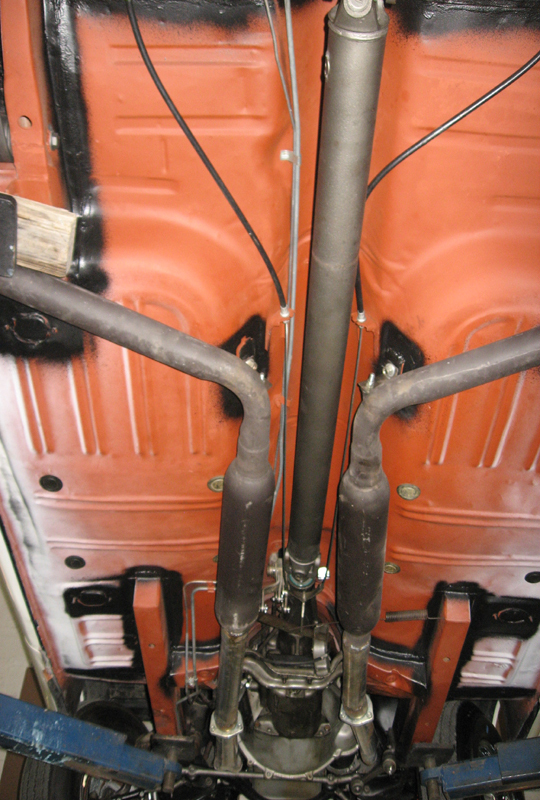 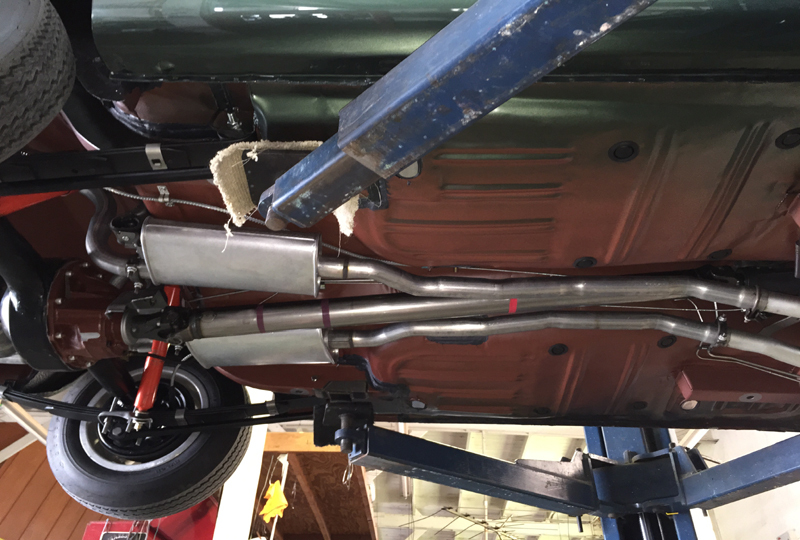 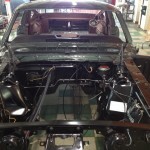 Front and rear suspension, brake and fuel lines, wiring harnesses and dash components are installed. 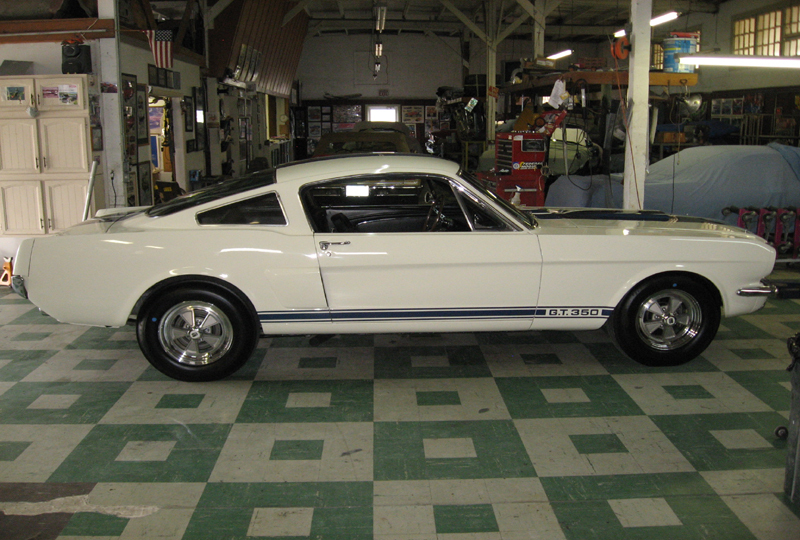 A slightly used set of NOS Carroll Shelby 10 spoke wheels were located, refinished and installed to match the original set the car came with. 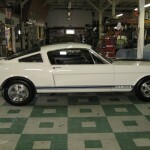 The new Blue Streak Good Year tires finish the package. 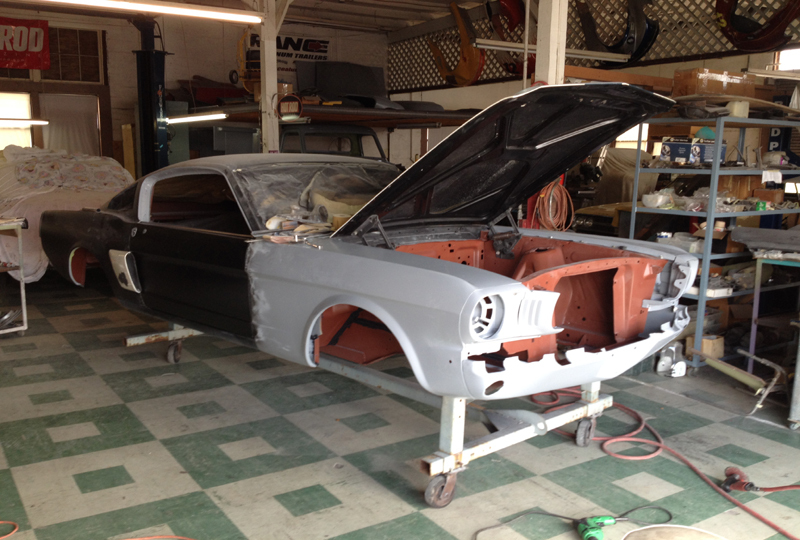 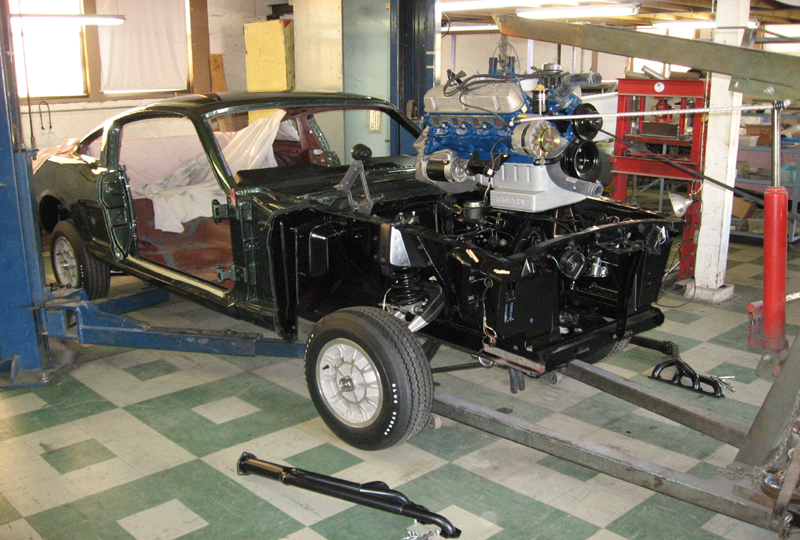 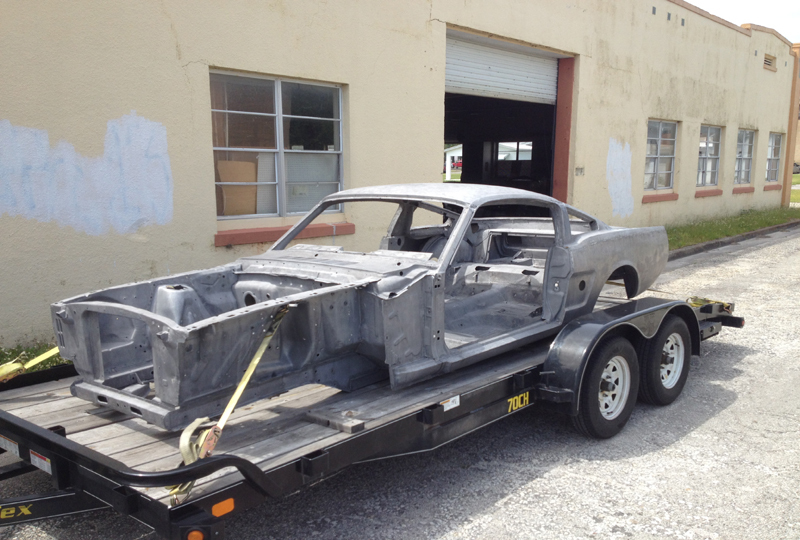 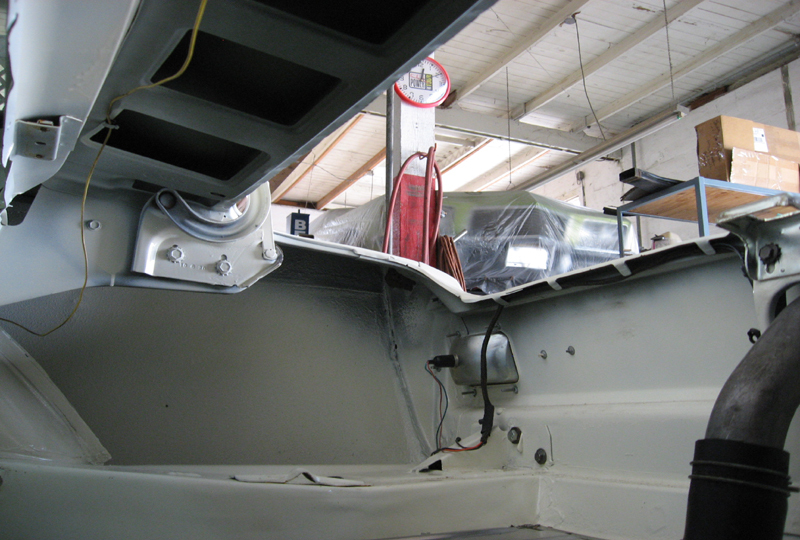 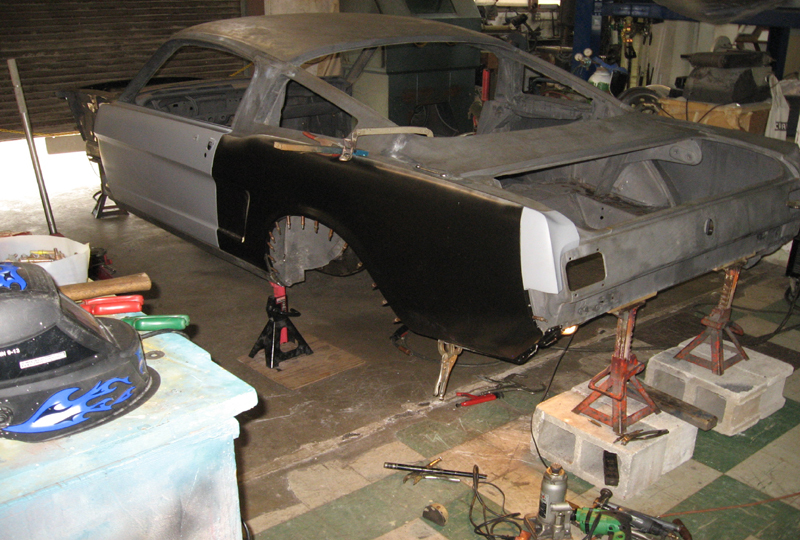 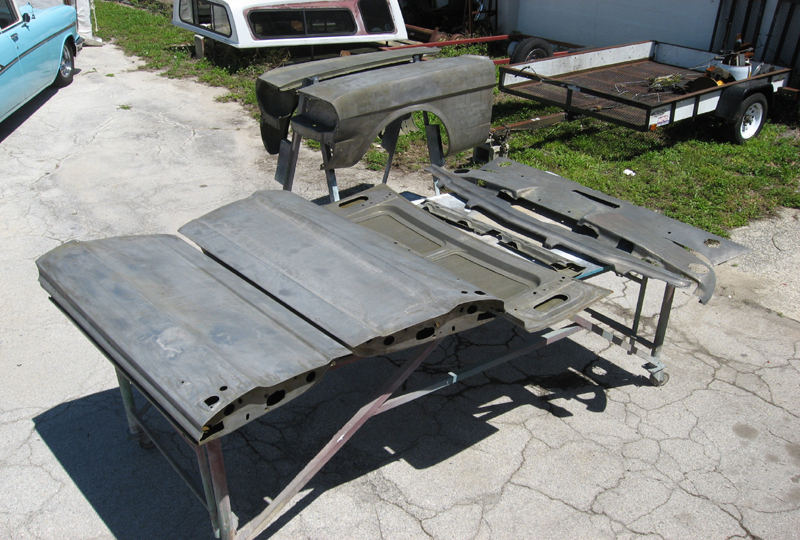 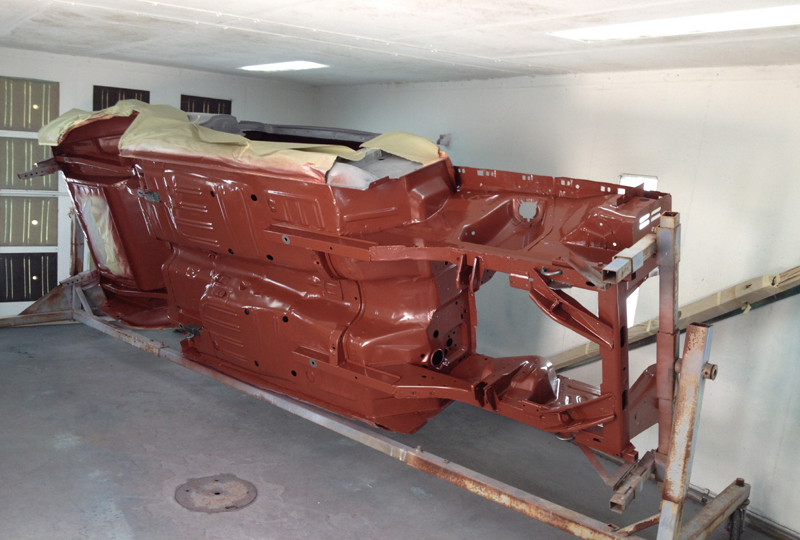 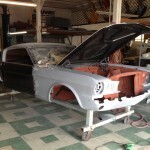 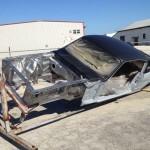 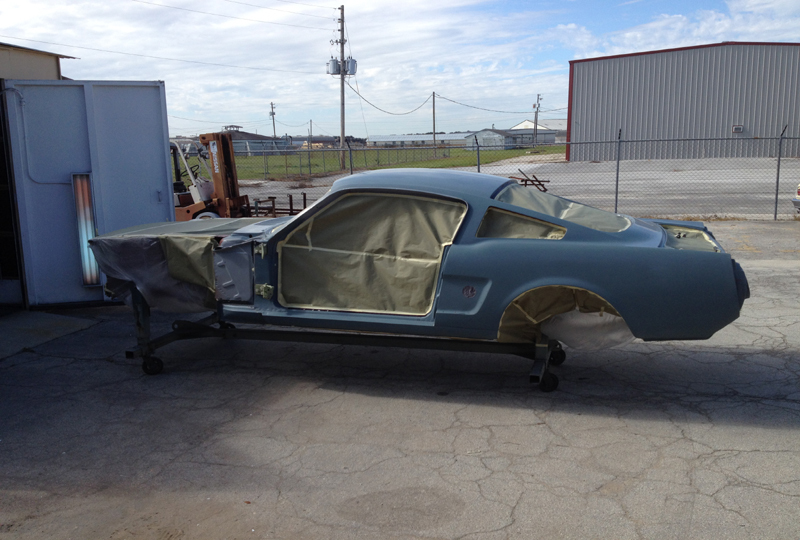 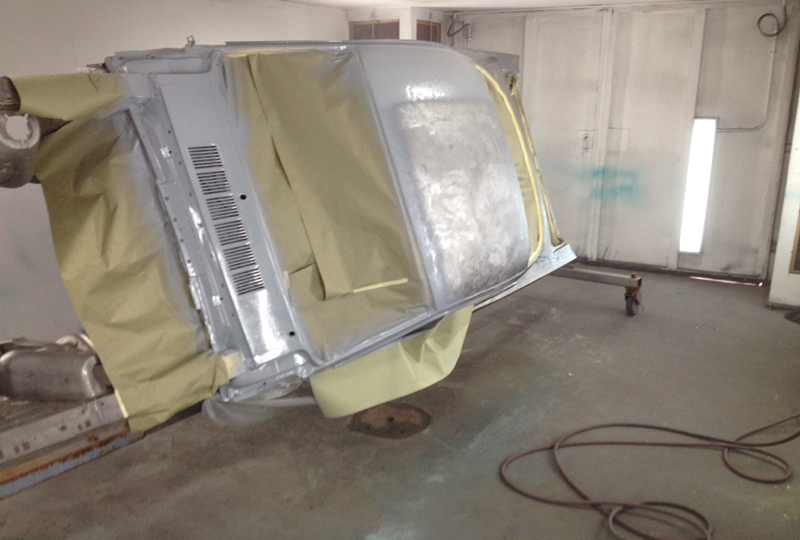 The engine/transmission install, color sanding and buffing the rest of the body panels will continue towards the completion of this special 1966 Shelby. 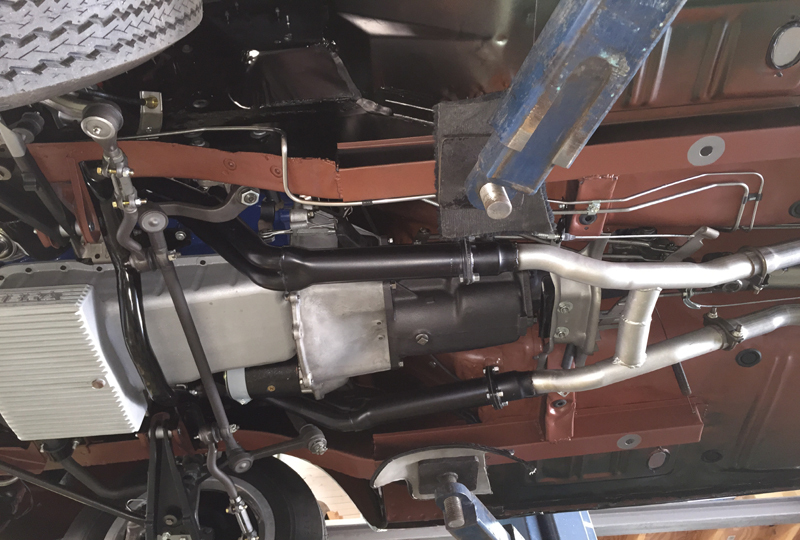 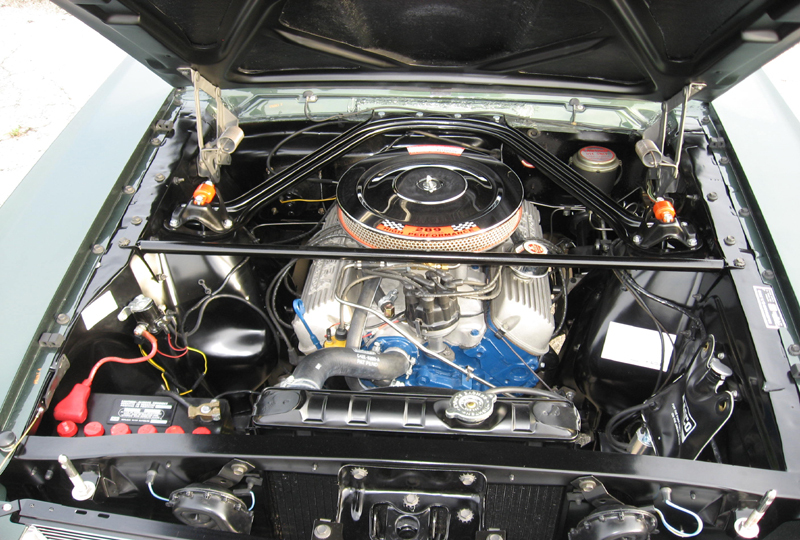 The details have been completed the systems have been tested and now the 1966 Shelby GT350 #1066 is back to where it all started in Lima Peru with some of the added racing add-ons retained. 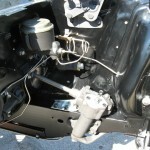 If you look close at some of the belly shots the add-ons can be seen. 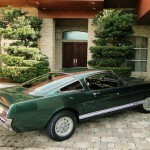 It is a stunning car to view and a blast to drive, one can only imagine racing it through the Peruvian roads back in the late 1960’s and early 1970’s! 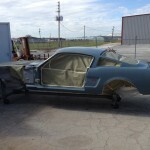 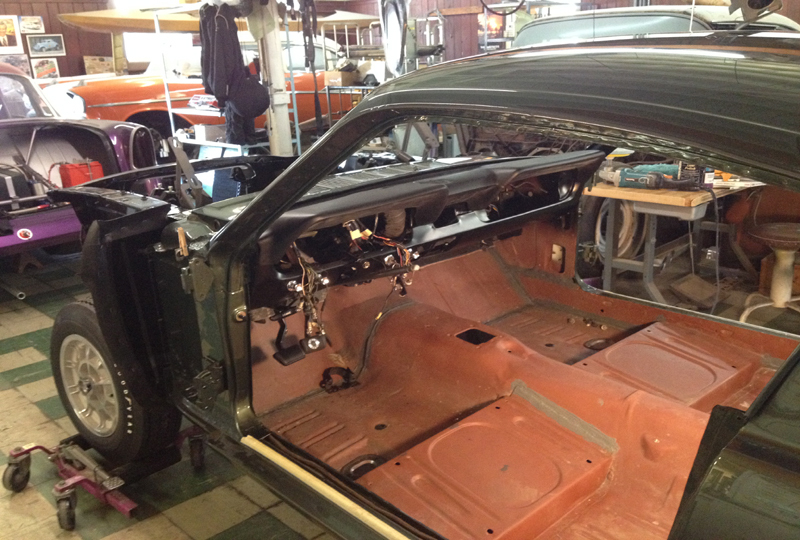 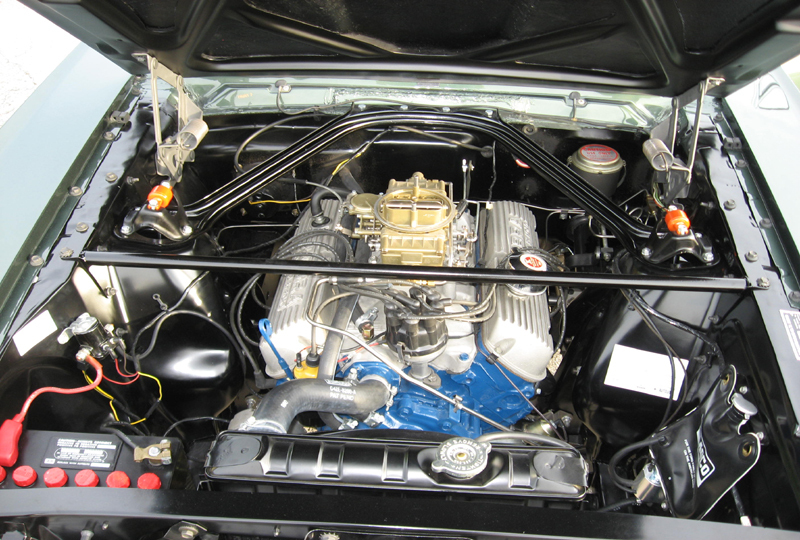 1966 Shelby GT350 bare essentials, were it begins.